Each of our students would love an “A” average, but college can be tough and not everyone is able to reach that lofty goal. However, one area on campus we have been able to accomplish a consistent grade of “A” is in the cafeteria. Twice a year a health inspector from Wake County drops in on us to measure the temperature on our food, determine the cleanliness of our tables, check the dates on our produce and evaluate our food service department against a myriad of standards imposed by the North Carolina Department of Agriculture and Consumer Services. When finished, the inspector leaves us with a paper that we are to post for all to see. On it is our grade. We are pleased to report that our grade has consistently been an “A.” Records show that for the past 10 years we have averaged a 98.5 with one inspection earning a score of 100! Brother Mike Morris, our Food Services Director for the past 17 years said that score cost him. “I promised the kitchen staff I would take them out for a steak dinner.” His offer for that elusive, perfect score still stands. We realize that no one attends a college because of the delicious meals they will eat in the cafeteria. It is a difficult job with few words of thanks. 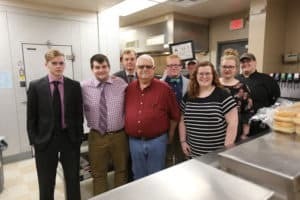 After all, “no one cooks like Momma.” However, we are thankful to have Brother Mike and his crew of student kitchen workers who are faithful to provide food for our students and staff, day in and day out, while running a safe and sanitary operation. Please pray for this vital ministry at Southeastern. Oh, how I love a good mash-up—the form of parody that juxtaposes caricatures from various hitherto unrelated works! Reimagine Romeo and Juliet, this time as Romeo and Julie Andrews as Maria(Shakespeare meets Rodgers and Hammerstein)! Or The Fall of the House of Green Gables(Poe meets Montgomery)! Or Waiting for Captain Nemo (Beckett meets Verne)! I could do this all day, but I’ll move on. Not long ago, as I was preparing a lesson for my adult Connection Group (or Sunday school), my fascination with Greek tragedy mashed with my fresh reading of the familiar I John (Aristotle meets John the Beloved). These two perspectives having collided, the ensuing sparks stimulated in me a reinvigorated meditation on I John 2:1: “My little children, these things write I unto you, that ye sin not” (King James Version). No way! Is John the Beloved, now aged and nostalgic, losing touch with reality? His mind does tend to wander in circles of rhetorical amplification throughout his eponymous trilogy. And you’ll have to admit that some of those images in his apocalyptic vision are fantastical and incredible, yet I give them my full credence. I also trust the Holy Spirit, breathing through John’s words here, when He suggests the very real possibility of living without sin. John has just announced his thematic thesis for the epistle, a notion that he first heard from his best friend Christ, namely that “God is light” (I Jn. 1:5). Not surprisingly, the only way for us to “have fellowship with him” and with other believers is to “walk in the light” (I Jn. 1:6-7). I’m intrigued by the suggestion that we can sustain a lifetime “walk in the light”; but I’m surprised by the manner in which we can do so ourselves—“as he [God]” does in whom “is no darkness at all” (I Jn. 1:7, 5). As God does, we can tread the lightened pathway that has “no darkness”? None “at all”? As if anticipating objections from Romans 3:23 (“All have sinned”), John employs a typically Aristotelian tactic: concession, refutation, and reaffirmation. Though our very fellowship with God and His family depends upon the unifying DNA of pure light, we must concede that we have walked in darkness. What’s more, if we want to be honest with ourselves, we not only “have . . . sinned,” but we also “have” (i.e. possess) sin (I Jn. 1:10, 8). It’s in our spiritual genetic code. We can no more choose between darkness and light than can the color-blind unaided choose what clothes match. In our helpless condition, praise God, John offers aid through a process of forgiveness and cleansing, predicated upon confession: “If we confess our sins, he is faithful and just to forgive us our sins, and to cleanse us from all unrighteousness” (I Jn. 1:9). Thus, we can “walk in the light, as he is in the light” because “the blood of Jesus Christ his son cleanseth us from all sin” (I Jn. 1:7). With the Clorox power of Christ’s blood, John refutes the apathetic hedonist who lives as though we cannot hope to enjoy victorious Christian living. Then John reaffirms his position in no uncertain terms: “These things write I unto you, that ye sin not” (I Jn. 2:1). “These things” consist of God’s holiness, our helplessness, and Christ’s help—the principles which not only enlighten our understanding but also light our walkway. So, it is possible and necessary that we sin not if we are to have fellowship with a sinless God and other sin-cleansed believers. This verse I judge the most shocking truth in all of Scripture because I find myself—just like Paul (Rom. 7:19)—too often wallowing in the shadowlands, rather than walking in the light. Eureka! In his Poetics, Aristotle infers several rules about tragedy from what he considers the greatest of all tragedies: Oedipus the King by Sophocles. It’s a story about a man who cannot avoid his fate, even though it has been revealed to him—a destiny that involves marrying his own mother and killing his own father. (Corinth being one of the key settings for Oedipus, doesn’t this plot put into perspective the enormity of the egregious sin Paul deals with in I Corinthians 5:1?) The fate of Oedipus is the worst that Sophocles and his audience could imagine. One of Aristotle’s many observations concerning the tragic hero has to do with hamartia; moreover, what Aristotle has to say about hamartiaoffers an interesting perspective on I John 2:1. According to Aristotle, a tragic hero must have a certain sort of hamartia (a shortcoming, i.e. “missing the mark”). For the audience to vicariously share cathartic pity or fear (the way that many of us enjoy a good thriller), the hero’s hamartiahas to be such that the audience buys into the experience. In other words, if we had the same misinformation, given the same plot points as the hero, we would make the same mistake; therefore, we pity Oedipus (sympathy) and experience his fear (empathy) when his hamartialeads to doom. In this sense, hamartiais not merely a sinful character flaw—it’s an unavoidable issue of plot and personality. The hamartiaof Oedipus is symbolized by his injured feet: Oedipus literally cannot help stumbling into tragedy because he is a Type A personality who must act, and he acts on incomplete intel. Now, with some textual liberty, let’s take another look at I John 2:1—“My little children, these things write I unto you, that ye” have no hamartia! In other words, unlike Oedipus, we do have all of the information that we need (“these things”) to avoid “missing the mark”! Oedipus does eventually learn the full disclosure of his situation—his running away from adoptive parents only to kill his real father and marry his real mother—but too late to avoid tragedy. His wife-mother kills herself, and Oedipus gouges out his own eyes. If only some Paul Harvey had told Oedipus The Rest of the Story earlier in the play; then he could have—he would have—nullified the oracle’s prophecy! In a very real sense, John’s message, fully disclosing “these things,” allows a script rewrite! The “old things [the tragic scripts we are born with] are passed away; behold, all things are become new” (2 Cor. 5:17). More so, John’s message offers a whole spiritual DNA rewiring: “For it is God which worketh in you both to will [to desire] and to do of his good pleasure” (Phil. 2:13). When we believers choose not to desire or to do God’s will, it’s not because we lack the proper motivation or information; for “His divine power hath given unto us all things that pertain unto life and godliness, through the knowledge of him that hath called us to glory and virtue” (II Pet. 1:3). On the one hand, do not suppose that I’m suggesting the ridiculous notion of a believer’s never sinning while robed in flesh! On the other hand, I John 2:1 does affirm that Christ’s blood not only saves us from eternal hamartia, but also sanctifies us from having to endure tragic lives encumbered by hamartia. No doubt, you’ll agree with Aristotle that we don’t have much of a tragedy when the hero lacks hamartia. But this observation is my point. The victorious Christian life is not a tragedy (and it seems redundant to say so). Where then are these Christian heroes without fear of kryptonite, fully protected from head to heel? Unfortunately, some Christians have been duped into thinking that this life is tragic. They are hunchbacked, bent under baggage that God never intended, for His“yoke is easy, and [His] burden is light” (Mt. 11:30). Some Christians do not rise to the status of hero because they are entangled with materialism or other lusts. Even the real Christian heroes are hard to spot because we often look for them in the wrong places. We tend to look for towering giants, when we should remember the prayer warriors waging closet battles on their knees. There are also the unsung heroes who would never dream of flashing their logos across the horizon, heroes rectifying wrongs in quiet meekness. It’s equally easy to overlook the heroes who humbly stoop, putting their backs into the work of ministry and taking up their crosses daily. If these heroes would stand in their full spiritual stature, we would behold giants indeed, but Christian heroes don’t flaunt their own brawn. Perhaps, you see hypocrisy at nearly every turn, as do I; however, as I look all about me, I also see role models who daily defeat self and sin. Heroes without hamartiaabound! We just need to use our spiritual eyesight to spot them in the right places. Early in November, two donors issued a matching gift challenge to our Southeastern partners. Donor #1 committed a matching gift of up to $50,000 with a desire to see it used toward annual fund needs. Donor #2 committed a matching gift of up to $50,000 with a desire to see it used for pastoral student scholarships. The stage was set, and we began to make our partners aware of the challenge and opportunity. During December, Director of Development and Donor Relations, Steve Berry, was brought to tears multiple days as he returned from the post office and began opening letters and gifts from our partners. Currently, the business office has recorded $225,374.55 toward this campaign. Last summer, the dormitories experienced a makeover with renovated bathrooms and the dorm rooms being painted. More renovations are scheduled for this summer. We are planning to replace the old dorm room carpet with new carpet tiles. This will allow us to later replace one carpet tile at a time when there is small area damage. Prior to the new carpet being installed, the maintenance department is repairing the sill damage to the bottom of our buildings. The damage has occurred as the caulking deteriorated during the last 31 years. All of the roofing bolts are being replaced as well. These water intrusion repairs must be completed before we install new carpet. The maintenance department is in need to borrow a tractor with a front-end loader to help move the river rock that we will install around the perimeter of all dormitories. Prior to Hurricane Florence, the maintenance department used an excavator to dig out drainage areas around the campus that had silted in over time. We are confident that these efforts mitigated our water damage during the storm. The college has need and use for a tractor full-time, but for this project, if anyone could allow us to borrow a tractor for several weeks, it would be much appreciated. Our friends and partners may now begin contributing donations towards the “Summer Renovations.” We are still gathering prices as we search for the best deals on the carpet. We hope to outfit all four dormitories with new carpet. For over a decade, Southeastern College has enjoyed a partnership with the Cedars of Lebanon Seminary in Pinar del Rio, Cuba. On January 21, President Ange and Steve Berry will lead a team of pastors and professors to teach and preach at the annual pastor’s family retreat. 100 attendees will gather at the annual retreat for an inspirational time of instruction, preaching, and fellowship. 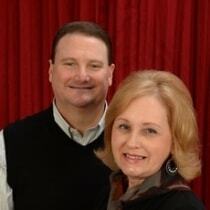 Dann Patrick and Wayne & Laurie Johnson will also be part of the team ministering during the retreat. Keith Holmstrand, a recent Southeastern graduate, completes the team. It is Keith’s second trip to minister in Cuba. Name some things that discourage you in your teaching ministry. Name some things that cause you to have joy in your teaching ministry. In most instances the things that are discouraging to us are circumstances, things that happen. This could be student conduct, parent conduct, working conditions, or any number of occurrences. In most instances these are things that involve emotional reactions. With some people, whatever is happening at this particular moment controls their whole being. When we focus on the immediate, it can sometimes become very discouraging. As those involved in ministry, as believers, we must move beyond letting our circumstances govern our lives. We have an excellent guide for doing this in Paul’s letter to the Philippians. This is a letter of a spiritual father, sharing with his spiritual children how to possess true joy in life. We need to note a little background here. If Paul was looking for happiness in his ministry, things weren’t going too well. II Corinthians 11:24-28 gives an account of horrendous situations in Paul’s life that included physical, emotional, and psychological pain. These events would be discouraging. But they didn’t control Paul’s life. Some things that bring about discouragement in the teaching ministry could be avoided, but many just go with the territory. The key is not being controlled by the circumstances. How did Paul deal with these circumstances in his life? He was confident God was in control, and he was in God’s will. How did Paul combat circumstances? A servant at heart.In Philippians 1:1 Paul declares himself to be a servant (doulas)– a bond servant or one bound to another. He was bound to the ministry by a constraining love for God. Why are we in the ministry? Why are we teachers? It should be because of our love for God. Some are teachers not because they are called, but rather for various other reasons. These teachers are usually controlled by their circumstances, looking for circumstances to bring them happiness, not necessarily joy. Joyful memories and the big picture. We also see in 1:3-6 and again in 4:1, these people were Paul’s former “students” that were now growing in the Lord and participating in the Lord’s work. They were growing from what Paul had started. Sometimes when things aren’t going well, we need to look at the big picture. Look at the former students who have gone on and are doing well. Remember, in many instances, what we are doing is planting seeds that will come to fruition later on. A ministry heart.What was going to bring joy to Paul’s heart? We can get a glimpse of what brought joy to Paul’s heart in 1:9-11 and 2:1-5: to see his students grow, to continue to learn. For them to mature as believers brought joy to Paul’s heart. A ministry heart doesn’t see a classroom of students, but rather a classroom of lives. One of the evidences of a ministry heart is a “Christ-like attitude” (2:1-5). Note particularly verse 4. Not focusing on ourselves, but rather on the needs of others. This deals with selfishness, self-centeredness. This is not being driven by what we want in our classroom, necessarily, but what is best for our students. Progress not perfection.Paul admits in chapter 3:12-13 his imperfections. He makes it clear that it is progress that works as a plan for our lives and our ministry. Things are obviously not always going to go as we would like in our ministries. We can’t let these setbacks and difficulties dominate our lives and ministries. There are going to be disappointments, and sometimes we are going to become frustrated. That is when we need to look at the big picture and remember, the plan is progress not perfection. We need to always keep our eye on the goal, progress. Academic and spiritual. How did Paul maintain joy in the ministry? An attitude of rejoicing.All throughout Paul’s letter, we see the words joyand rejoice. We also see multiple references to Jesus (over 40 times). The clear message Paul has for the believers at Philippi and for us in our classrooms is that Christ is the reason for true joy, not the circumstances of life around us (4:4). In the original language this is a command. We are to look for the things that help us enjoy life, to enjoy our ministry. We are all going to experience circumstances in our ministry that are not enjoyable, but even then there are plenty of things to be joyful about. Think of God’s goodness, His blessing. Contentment in your ministry.Paul refused to allow circumstances to control his attitude (4:11). Regardless of what was happening in his life, he could find contentment in Christ and his ministry (again, the big picture). That doesn’t mean that Paul didn’t care what went on around him. Contentment is not indifference. In this context it refers to being at peace in Christ’s sufficiency. This is understanding that circumstances are temporary. Joy and God’s plan.Notice in 4:17 what Paul’s ministry desire was. He was not measuring his ministry on the temporal circumstances (gifts) of the immediate, but rather the joy of seeing the fruit of ministry carried out through God’s plan. If your goal for ministry is happiness, you are setting yourself up for failure and disappointment. If your goal for ministry is scriptural joy, you will find yourself blessed beyond measure. President, Rev. Nate Ange and College Dean, Dr. Danny Baer are pleased to announce that as of Friday, December 7, Southeastern Free Will Baptist College has been approved for Federal Aid. This means our students will be able to apply for aid under Title IV in the form of Pell Grants and student loans. It will take a few weeks to get all of the details worked out, so we hope to have our Virtual Student Aid Office available through our website around the first week of January for students to begin the application process. Students SHOULD NOT apply before notice is given that all is ready. Until then students are welcome to explore studentaid.ed.gov and fafsa.ed.gov to learn more about aid and the Title IV program. They can even go through a process to estimate how much financial aid they will receive. Erwin, Tennessee. He has served in the promotional department for two years as the sound technician for the Sounds of Praise Ensemble. 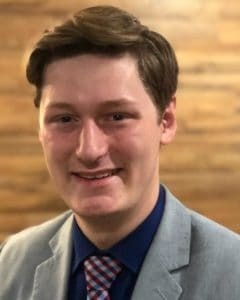 As president of the student body for the second year in a row, Arron has gained respect from his peers. Many of our churches have enjoyed Arron’s preaching ministry. His duties will begin part-time in January and become full-time after his graduation in May. He is excited to begin recruiting students to the school he loves. If you know of an interested student prospect for Southeastern you may contact Arron at arron.howard@sfwbc.edu. We are thrilled to announce an end-of-year challenge. Two donors have issued a matching grant challenge of $50,000 each. That’s right. If we can raise $100,000 by the end of the year, your gift will be matched by $100,000. We intend to designate $100,000 for student scholarships and $100,000 to the annual fund. The lack of financial scholarship help for students continues to be one of our challenges in recruiting students. 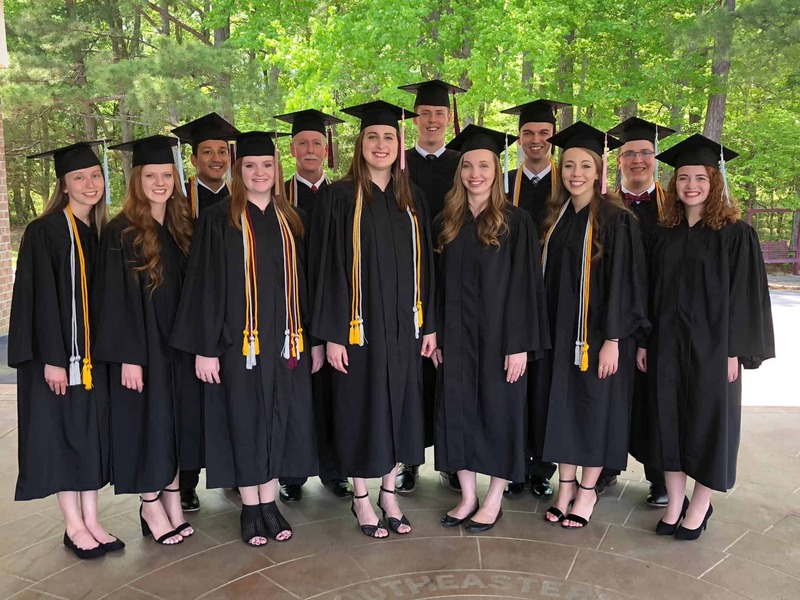 Many students would love to prepare for ministry at Southeastern, but they cannot afford it. Your gifts this Christmas season will help us recruit next year’s students. 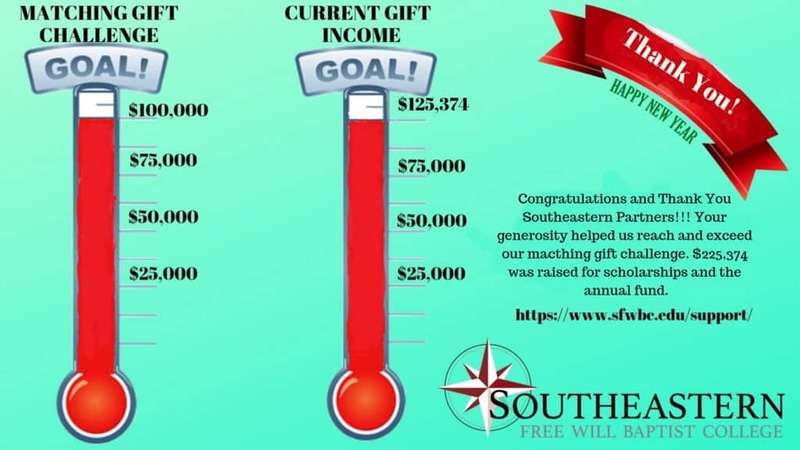 Please consider a special year-end matching gift donation for Southeastern College. We need your help! We can now receive your gifts of highly appreciated stocks and bonds which you can donate tax-free. If you are not a 20/20 Vision Club Partner, please consider becoming one today. If you have any questions, please do not hesitate to contact Steve Berry at 919-365-7711 (work), 321-917-2376 (cell), or sberry@sfwbc.edu. Thanks for all you do to support Southeastern College! Upon returning today from our eleven-day mission trip to Moldova and Romania, I have been gripped again first hand as to the purpose of Southeastern College. We exist to train workers for the vast harvest fields at home and abroad. “The harvest truly is plenteous, but the laborers are few”- Jesus Christ. We have seen firsthand how our graduates are bringing in a great harvest on these fields. Along with other members of Landmark Church, senior student, Vadim Popovici, and alumnus, Dustin Smith, and their wives accompanied us on this mission adventure 5,500 miles from home. We were met on the mission field by three Southeastern alumni missionaries. Evangelist and Camp Builder (Camp Christ’s in Romania) Pavel Clipa, Church Planters Shanna Pascaru and her husband Victor and Church Planters, Nick and Candy Corlata, who both pastor soul-winning churches. Our team conducted four evangelistic crusades in places where the gospel is not proclaimed. The team preached and shared testimonies in seven local churches, encouraging the pastors and their families. 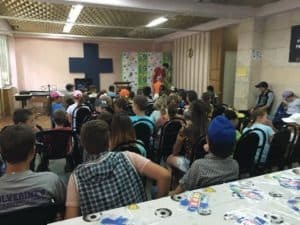 Our team led a three-day Vacation Bible School in a poor village, with 70 children attending. administrators of the Baptist Theological University in Chisinau, Moldova to discuss joint missionary ventures in the future. A local church that was planted by Southeastern alumni, Chip and Elizabeth Henley, is completing a new sanctuary and educational facility outside the capital city of Moldova, and we were able to encourage the pastor and his wife. All in all, Christ was glorified, over 150 souls publicly professed faith in Christ for the first time, believers were encouraged, and scores of commitments were made for service to Christ. Southeastern exists for this purpose and may the Lord add His blessing upon our passion to produce more workers for the field. Every decision of any significance that I have made in my life as a believer has had the counsel and the clear leading of the LORD. Such is the case now as I have accepted to serve you, and most importantly the Lord, in this capacity at the college. On July first, I joyfully begin this great opportunity, with dependence upon the Lord for both strength and wisdom. Since my acceptance before the students and faculty in late April, I have been working behind the scenes, along with our College Dean, Dr. Danny Baer, to assemble a great team of professors to join our present faculty. As you will see in our new personnel, the Lord has directed in an amazing way to orchestrate in bringing together a great team of men and women for this fall semester. Dr. Tom Malone said, “When God is going to do something wonderful, He starts with the difficult. When God is going to do something miraculous, He starts with the impossible.” I am more thrilled than ever about the bright future of our Southeastern College. The need is greater than ever before to produce dedicated, consecrated young lives for the great mission that lies before us, the mission of glorifying our great God and Savior by bringing the gospel to the nations through local church ministries. We are not “ashamed of the testimony of our Lord” (2 Tim. 1:8). I am looking forward to the students that the Lord will direct to us for training, sharpening, and equipping this fall and into the future until Christ returns. Southeastern is just a small part of the Kingdom, a kingdom that shall never fail. What part do we all play? The lives of these young people (and some, not so young) are precious pieces of clay. We must be faithful to our calling from the Lord not to cause one of them to stumble. How can you help us? There is no substitute for prayer! Pray for us. Use your influence to send us students. Support us with your finances, as the Lord, by His grace, enables you. Southeastern is not a replacement for the local church. We are simply a partner, a tool that the Lord has used, and will use, to teach and train hearts and minds for the greatest cause on earth. Please join us in the great cause. 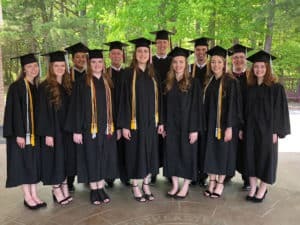 Music Education Major to Begin Again! We are pleased to announce that Mr. Mark Going, will return as a full-time professor of music and director of our college choir, the Sounds of Victory this fall. 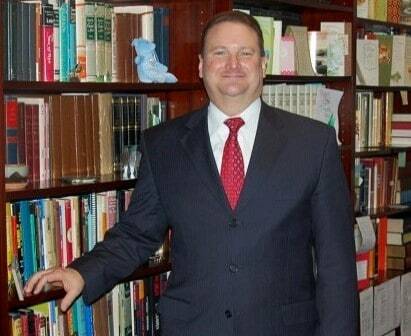 p director, church planter, and professor of Homiletics at Southeastern. Additionally, he served as assistant moderator, moderator, and treasurer of the North Carolina State Association of Free Will Baptists for twelve years. As an evangelist, Nate has enjoyed seeing hundreds of people surrender their lives to Christ. Numbers of preachers, pastors, and missionaries acknowledge Nate’s positive influence on their decision to surrender to Christ’s service. His great love for God and the next generation of servant leaders are cited as reasons that the Board of Directors selected him for this influential role as president of Southeastern. 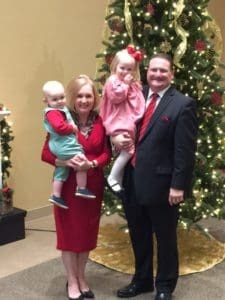 Nate is married to Becky Ange (Floyd), and together they have three adult children–Kristie, Sarah, and Nathan–all alumni of Southeastern College. Kristie is married to Scott Coghill, the pastor of New Life Church in New Bern, North Carolina. Scott and Kristie have five children. Sarah is married to Daniel Hewes. Daniel and Sarah have two children and are expecting their third child in August. They are members serving Landmark Church in Cary, North Carolina. Nathan is married to Meredith (Sugg). Nathan and Meredith have one child and are expecting their second in August. Nathan has completed a Master’s of Ministry degree and is employed with Builder’s Mutual in Cary. Nathan is in the process of a transition in ministry, prayerfully searching for his family’s next place of service in God’s perfect will. President Ange will begin his duties on July 1, 2018. 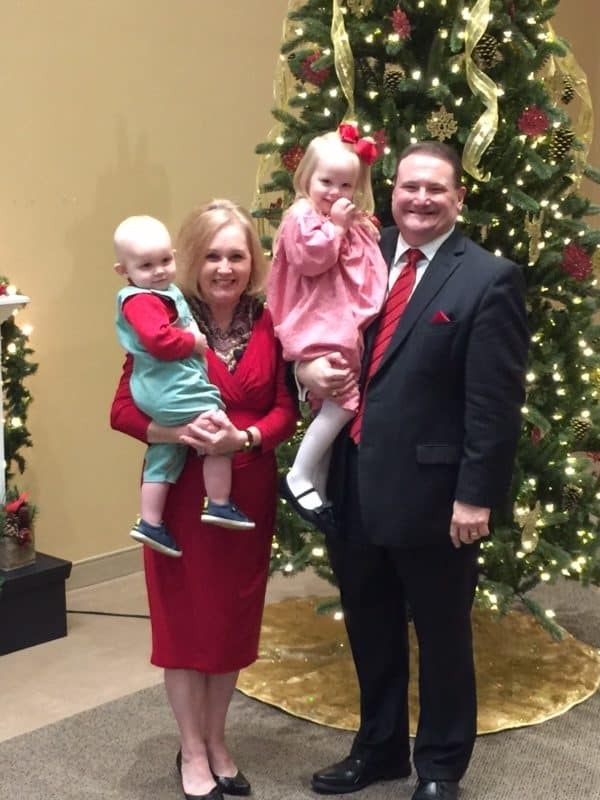 He will continue leadership as the pastor of the Landmark Free Will Baptist Church in Cary, North Carolina, where he has faithfully served as founding pastor since 1989. President-elect Ange states, “It is both a humbling responsibility and a great honor to be selected to serve Southeastern in this capacity. I have witnessed this college as it has trained and sent out hundreds of servants who are serving Christ’s kingdom honorably throughout the world. It is my passion for you to join us in prayer as together we witness the Lord bless the ministry of local churches across the world, producing young people who surrender their lives for service. President Jim Marcum expresses his wholehearted support for the selection of his long-time friend Nate Ange as the next president of Southeastern.